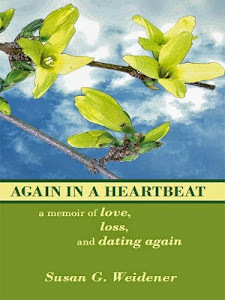 Our About the Author series continues with Sharon Keys Gray. “I AM NOT A POET!” I told myself. Those words resounded in my mind with decisive emphasis on not. Recalling that as a child in grade school nothing caused me to panic more than receiving a homework assignment to write a poem, confirmed this to be fact. I, who had earned straight ‘A’s in English grammar and also won the class spelling bee, became completely paralyzed when asked to attempt to compose a poem. I remember the hollow unsupported sensation in my stomach on hearing the assignment; like standing in an elevator that drops so fast that it feels like your stomach is still at a previous floor while the rest of your body has fallen away somewhere below. My eyes would grow round and wide as quarters, then my gaze would drop to the floor in accession to defeat. Nonetheless, I’d spend hours staring at an empty page in my composition book, pencil poised in hand in hope that some phrase, some snippet might leap to mind that I could capture before it was lost to me. It never did. I accepted this as divine revelation that a poet I was not destined to be. I did experience success in high school, however, crafting creative writing pieces and writing essays. Consequently, over the years I retained the notion that someday at my leisure I would write a novel. One evening a couple of years ago, the idea resurfaced and I decided the time to begin to write had come; but how to start? It occurred to me that there might be others like me in the area who were perhaps meeting and honing their craft. 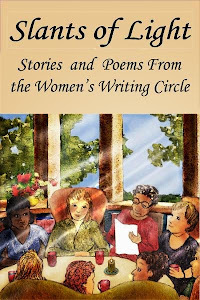 So, I surfed the Web to see what was available and there I found the Women’s Writing Circle. There was a meeting scheduled the very next Saturday and I sent an email confirming that I would attend. Nervous and shy at first, I shrunk into my chair to observe the meeting. But the ladies of the Circle were so warm and encouraging that I soon came out of hiding. I’d brought a piece that I’d written and shared it with the group. To my pleasure I received both genuine praise and kind suggestions on how I could make the piece more powerful. Such a happy discovery was the Women’s Writing Circle for me! I have three poems featured in the Slants Of Light anthology. “Alone In My Sunshine Room” was inspired by my thoughts and reflections as I sat in a sunny room of my house. The poem called “A Glance” was inspired by the view out of a window on a snowy day. The elegy “When Death Comes Late” flowed from thoughts of an aging family member’s perspective on life. Although still intent on writing that novel, I am happy to have a poetry muse as my companion. The poetry muse is something not to turn your back on and I'm glad that you opened yourself to it. I am happy to be in the WWC with you and look forward to your future sharings. Congratulations on a new form of expressing your thoughts. I can not wait to read the entire collection when it is published. Dear Sharon, I hope the second career does come calling because you are a terrific writer! It is your glasses and page from your manuscript that adorns our Women's Writing Circle main photo home page here on this blog. 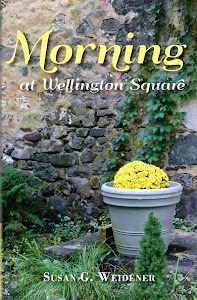 I took that picture one morning at Wellington Square when you first began reading to us. Like Jan, I look forward to hearing more of your writing journey in the Circle and I am so glad that in some way we helped you slay "the demon." Ellen, Welcome to the Circle. So happy to hear you are excited about our anthology collection. So are we! Sharon - I am starting to think there is so much mystery in writing. The act of doing it so often leads to a place other than the one I'd planned - and so it seems with you and poetry! I admire you for having the courage to "go with it" and have the patience to see what appears. Thanks for sharing your story! .....What wonderful stories are waiting to be told. Whether in meter...or in prose...your life and your light should not remain hidden under the proverbial bushel basket. Thank you for joining the WWC. Sharon, you have described my experience on receiving any "write a poem" assignment! Essays, short stories -- piece of cake -- but not poetry. However, it sounds like your Meter Muse was just lying in wait for you, and I congratulate you on your inclusion in the anthology. 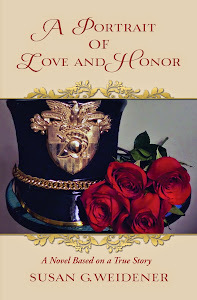 Susan, thanks for sharing another of the talented women in your group. You're making it hard for those of us who live too far away not to hop a plane for the next meeting! Poetry is a like a flash of clarity in a writer's mind. Thank you for sharing your written clarity within the safe haven of our writing circle. I'm so glad you listened to your poetry muse. Your words reach in and touch my heart. Looking forward to that novel, too!